That is the overall DAF theme at the IAA 2018, which will be held in Hanover, from 20 to 27 September. DAF Trucks will proudly showcase its innovation capabilities throughout its 90 year history, which is illustrated by the classic DAF A1600 from 1967 through to the future DAF CF Electric Innovation truck – both of which will be displayed on the DAF Trucks stand in Hall 17. 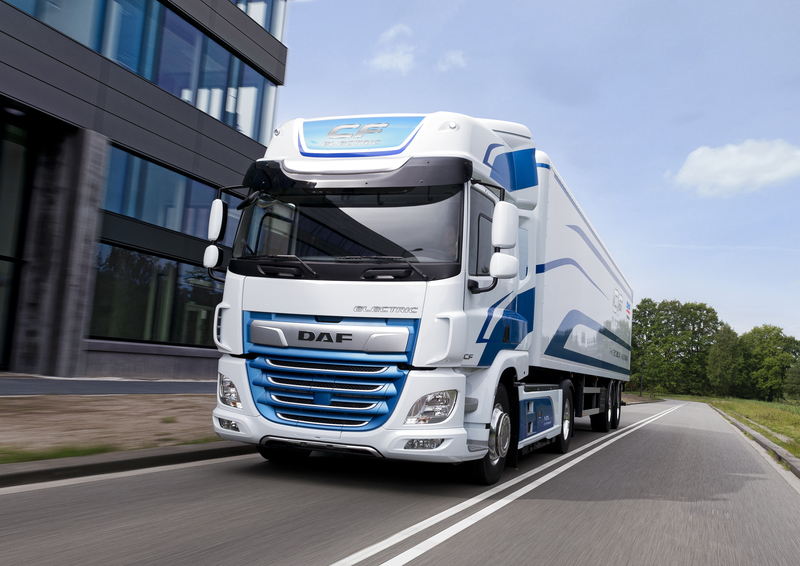 A prominent position will be taken by DAF’s latest LF, CF and XF ranges, setting the industry benchmark in quality, reliability and fuel efficiency. 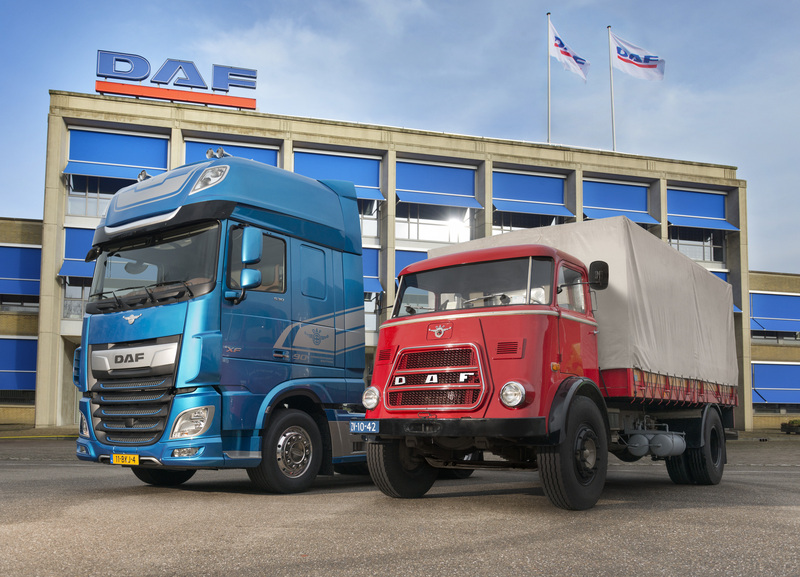 DAF celebrates its 90th anniversary this year. Starting as a small workshop in Eindhoven, the company has grown into the premier truck manufacturer in Europe. DAF’s heavy-duty market share in Europe grew from 15.3% in 2017 to 16.5% in the first half of this year. DAF Trucks is the heavy duty market leader in the United Kingdom, the Netherlands, Belgium, Poland, Romania, the Czech Republic and Hungary, and is Europe’s market leader in the tractor segment. DAF is the number 1 import brand in Germany, Europe’s largest truck market. The DAF vehicles on display at the IAA include the LF for distribution transport, the versatile CF for a wide variety of applications and the flagship XF for heavy and on-highway transport. The LF distribution truck was awarded ‘Fleet Truck of the Year 2018’ in the United Kingdom. The new CF and XF were voted ‘International Truck of the Year 2018’ thanks to a number of technical innovations, resulting in 7% fuel efficiency improvement, setting the benchmark in the industry. The CF and XF are the leading tractors. DAF will also be showing its vocational vehicles, including the new lightweight CF 8x4 mixer chassis and the unique 6x2 XF with BDF frame for demountable bodies available from the factory for maximum quality, vehicle availability and efficiency. Alongside the LF, CF and XF, DAF shows one of its Innovation Trucks: the DAF CF Electric. The CF Electric is a 4x2 tractor unit developed for up to 40-tonne GCW distribution applications within urban areas. The vehicle uses VDL’s advanced E-Power Technology for fully electric operation. The center of the intelligent powertrain is the 210 kW electric motor drawing energy from the 170 kWh lithium-ion battery pack. The CF Electric has a range of approximately 100 kilometers – suitable for high volume distribution applications. Fast charging of the batteries can be performed in 30 minutes, while a full charge can be completed in as little as 1.5 hours. First series of CF Electric trucks will be put into field test operation with customers this year. One of the eye-catchers at the IAA is the DAF XF 90th Anniversary Edition. This highly exclusive truck commemorates the founding of DAF in 1928. The vehicle features a premium options package, exclusive striping and exterior design elements, as well as the most powerful 530 hp/390 kW PACCAR MX-13 engine. DAF’s famous historic logo is proudly displayed on the front of the truck, on the sides and back of the cab, as well as in the luxurious, fully leather upholstered interior. DAF Trucks can be found in Hall 17 of the IAA exhibition complex. Occupying an area of 2,500 m2, the exhibition stand will showcase the complete prize-winning product range, setting the standard in innovation, quality, low operating cost, environmental leadership and vehicle performance. To highlight the importance that DAF Trucks and its 1,100 sales and service dealers attach to a full range of services to support their class leading products, PACCAR Financial, PacLease, PACCAR Parts, TRP and DAF MultiSupport Repair and Maintenance are presented prominently at the DAF IAA stand.